All the action in this superb "trial procedural" takes place inside the courtroom. In a series of cross examinations, lawyers attempt to find a truly independent witness. The varied testimony elicited is often hilarious, sometimes sad, frequently crazy and almost always contradictory. 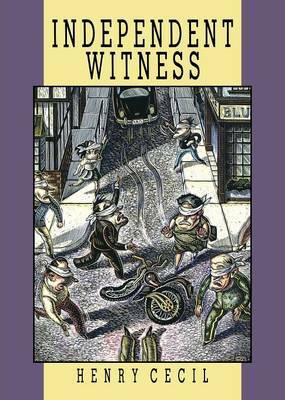 Even though it involves no murder, this is a classic mystery novel which probes the ever-baffling puzzle of how different people perceive the same phenomenon.